Fracking in Santa Clara County | Save Palo Alto's Groundwater! ← Where’s the protection for residents’ homes? Did you know fracking for oil and gas production is permitted in Santa Clara County? The Sierra Club invites us to write to the Santa Clara County Board of Supervisors, BoardOperations@cob.sscgov.org, requesting a ban on fracking in Santa Clara County. Although there are 15 gas producing wells in Santa Clara County, there is no fracking yet. However, the potential for fracking exists and neighboring counties of Monterey, San Benito and Santa Cruz and the city of Los Angeles have already banned fracking. 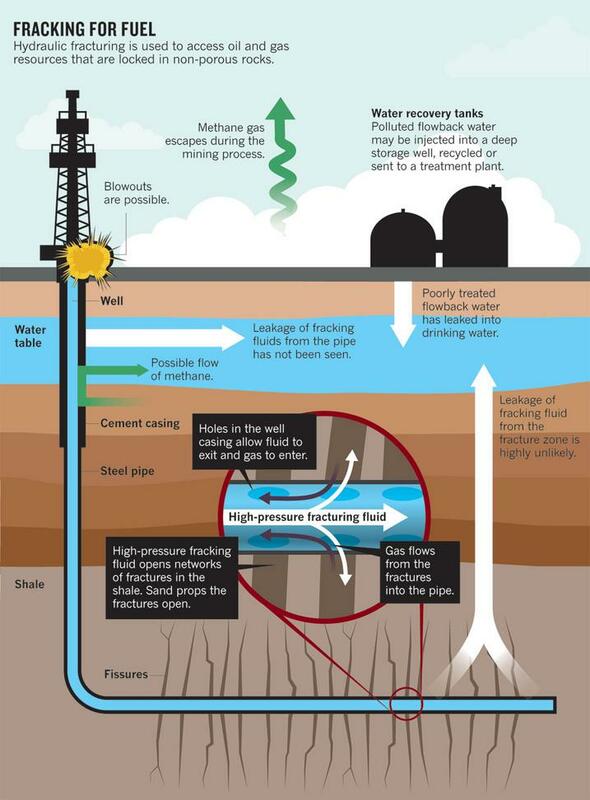 In addition to the potential contamination of ground and surface water, Wikipedia lists methane emissions, air pollution, migration of gases and hydraulic fracturing chemicals and radionuclides to the surface, the potential mishandling of solid waste, drill cuttings, increased seismicity and associated effects on human and ecosystem health as other possible impacts from fracking. After reading this powerful article it is clear that we cannot risk contaminating our groundwater, impacting peoples’ health and becoming another Washington County, Pennsylvania. Please join us and the Sierra Club in asking the Santa Clara Board of Supervisors to ban fracking in Santa Clara County. You might also write to the Santa Clara Valley Water District, the groundwater steward for the Santa Clara Water Basin. Most effective may be to email the director for your district (e.g. gkremen@valleywater.org and copy the full board for the record, board@valleywater.org. This Thanksgiving we give thanks for your interest and support in protecting our groundwater. I would very much like to join your blog. I have toured Sargent Ranch twice last fall. There is ZERO fracking happening now but there was activity back in 2011 according to the Ranch Manager. I am also a huge supporter of CHEER CENTRAL, a group that cleans the Pajaro River Corridor, creeks and tributaries. They pull garbage and tires as well as cars out of the river. This non-profit also makes sure that the watershed is protected from illegal chemical dumping and has done creek restoration to encourage the Steelhead and Salmon runs. (Successful after last years rains) On top of this great work, Herman Garcia (Founder) takes his garbage exhibit to local elementary schools to teach kids about pollution and ways they can help their local creeks and rivers clean. The current owners of the Ranch are suing Patriot Oil for lease payments long overdue. We need to put public pressure on Chevron to stop buying Sargent oil from Patriot. I also think we may need to go back to the County Supervisors again. There will be at least one new supervisor next year as Joe Simitian is termed out. Thanks for the forum.